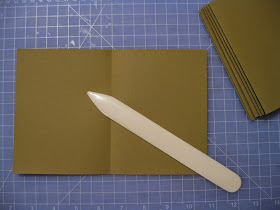 Bookbinding sounds much more intimidating than it really is, especially considering how loose the definitions of 'book' and 'binding' are individually, more so when combined. 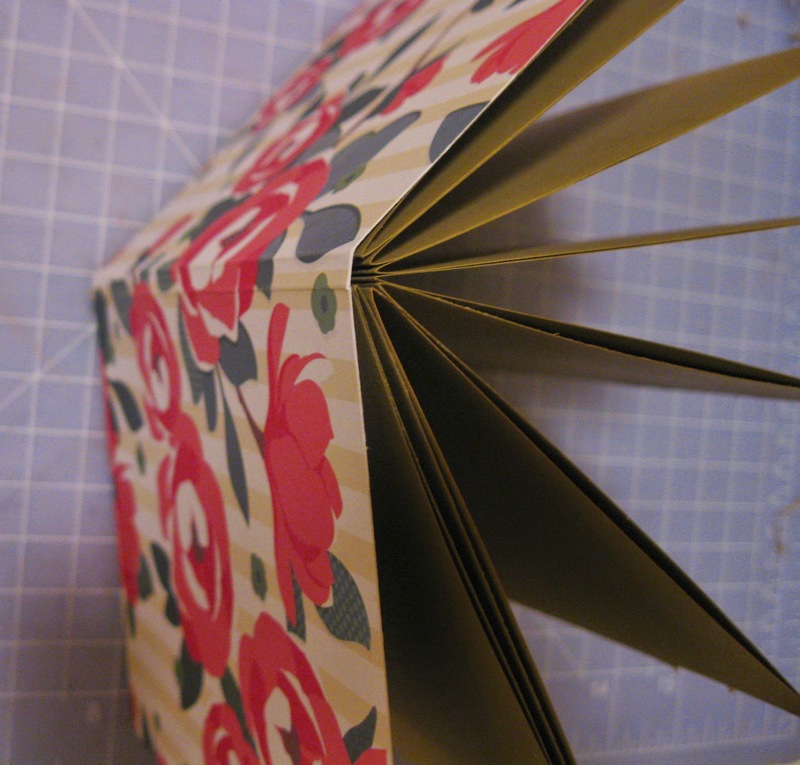 One of the easiest books to make is the French Fold. There is no sewing necessary, it can even be done with tape instead of messing with glue and dry-times, and you can easily incorporate mixed media. 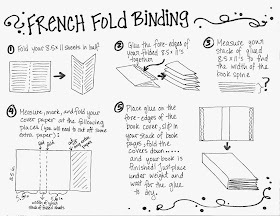 'French Fold' is in reference to the pages of the book being joined together on the outward facing fore-edges, instead of the interior edges/folds at the spine. 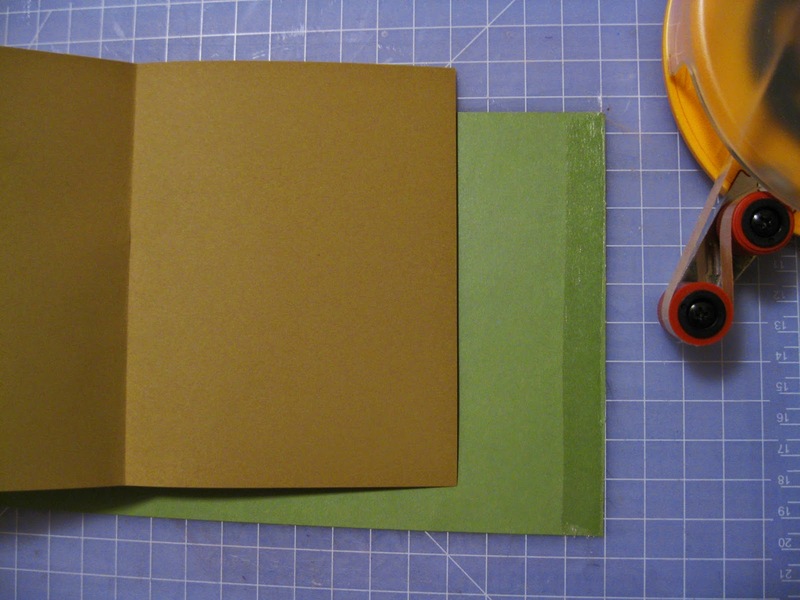 These instructions are for making a book from standard typing paper (8.5x11 in. 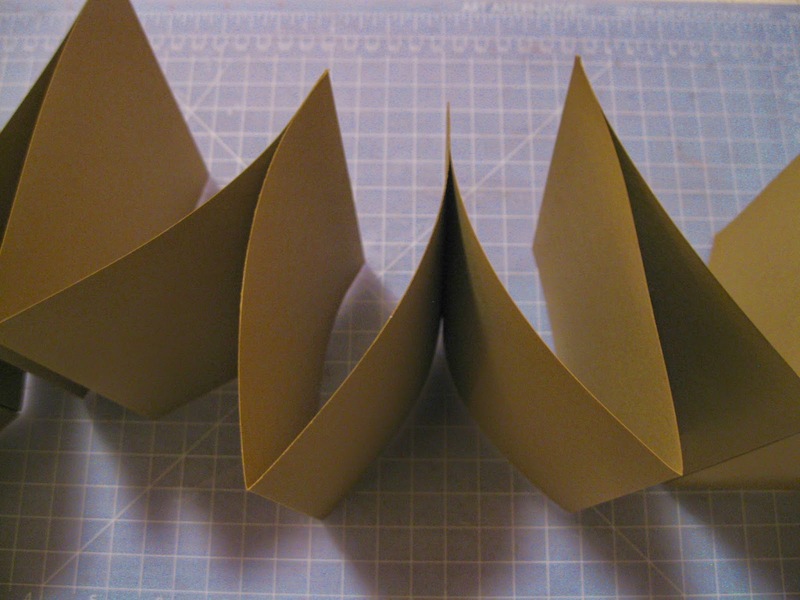 ), which has been folded horizontally. I am violating one of the first rules of paper crafting here because I am literally going against the grain, paper grain that is, in my folds. 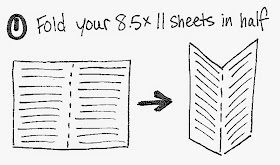 If I were doing this properly, the fold should be running vertically on the full sheets of paper. 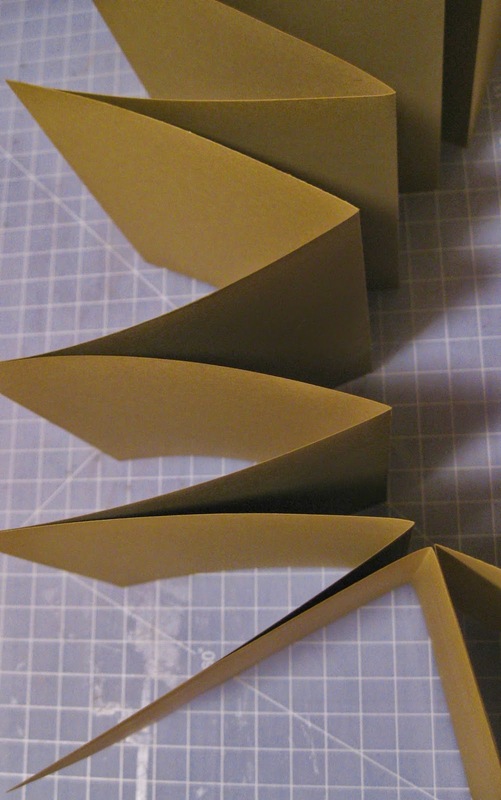 The reasoning for this fold orientation is that it makes the spine of the book parallel to the grain direction in the paper (the normal grain direction for typing paper). 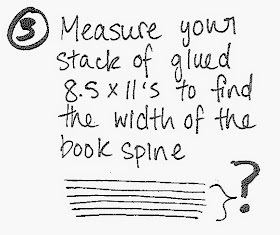 The rule of thumb is: the grain direction in paper (or material with a grain) needs to run parallel to the spine of the book. This will allow the book to expand and contract according to varied moisture levels, both internal and environmental, without warping the book. However, this project was for school children and the sizing above was more useful for the journals that they were making. 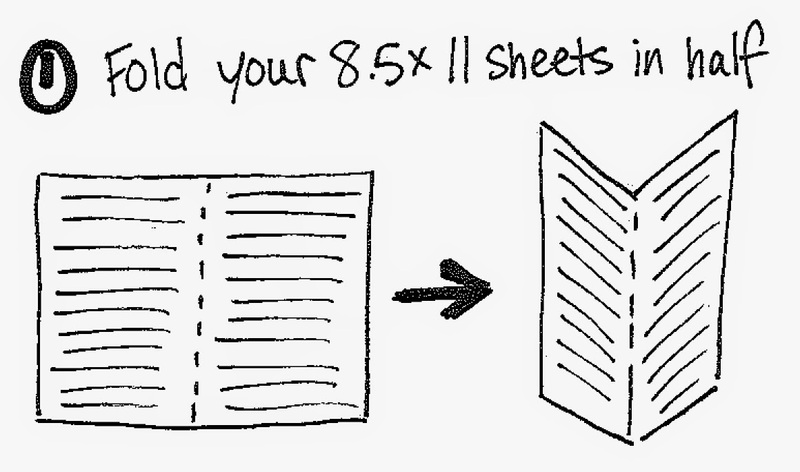 Their moms will love it no matter how many archival laws are being broken. 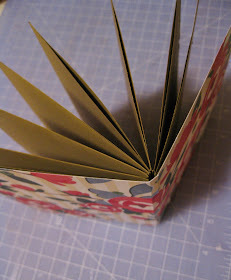 I am going to follow along with the instructions to make my own French Fold book, but I am going to make it smaller. 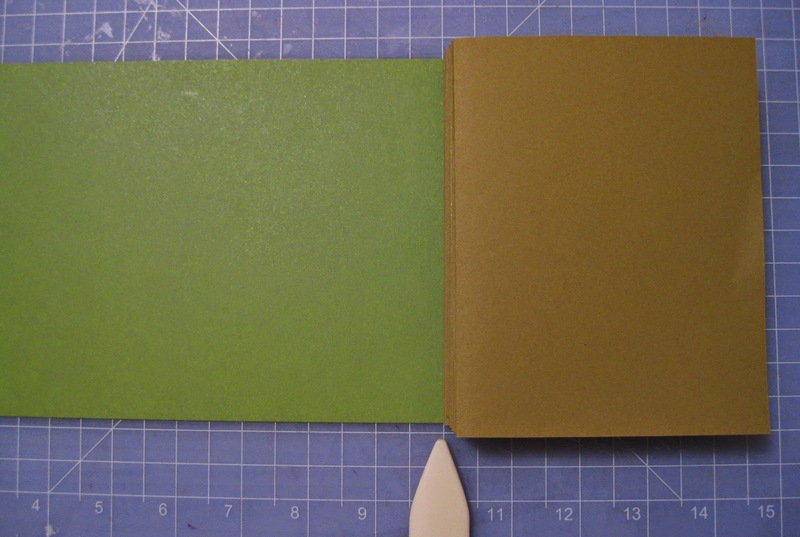 I am cutting my typing paper in half horizontally (so, maintaining the correct grain orientation) because I desired a smaller book. 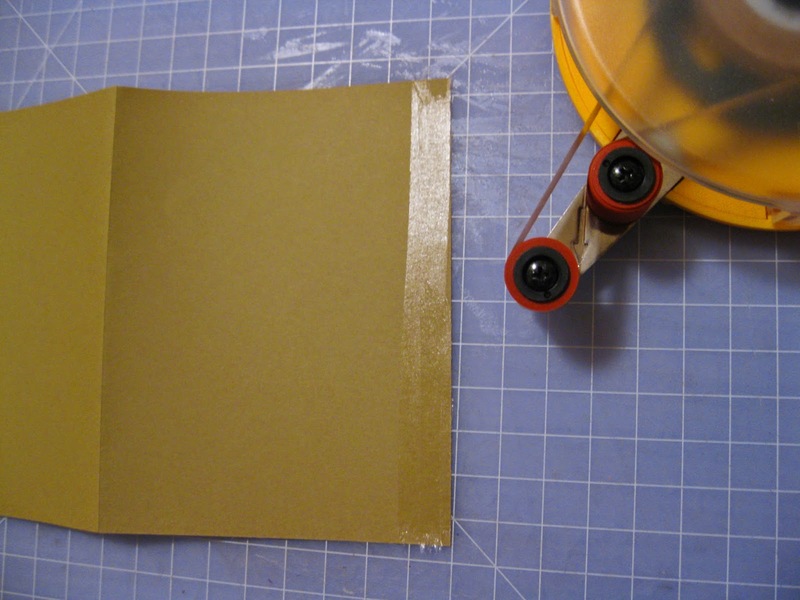 Also, I am using double-sided tape to adhere my pages in lieu of glue (lazy, very lazy). 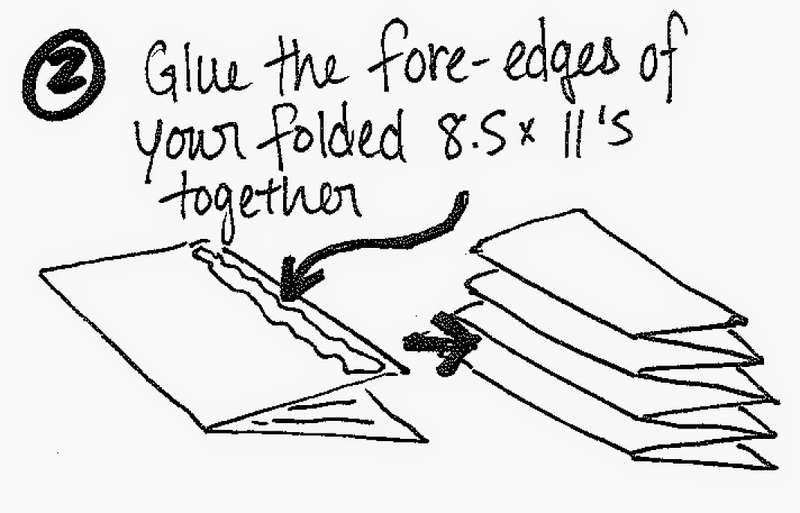 Or.... fold whatever paper you are using. I would also use this time to cut the paper/material for the cover. 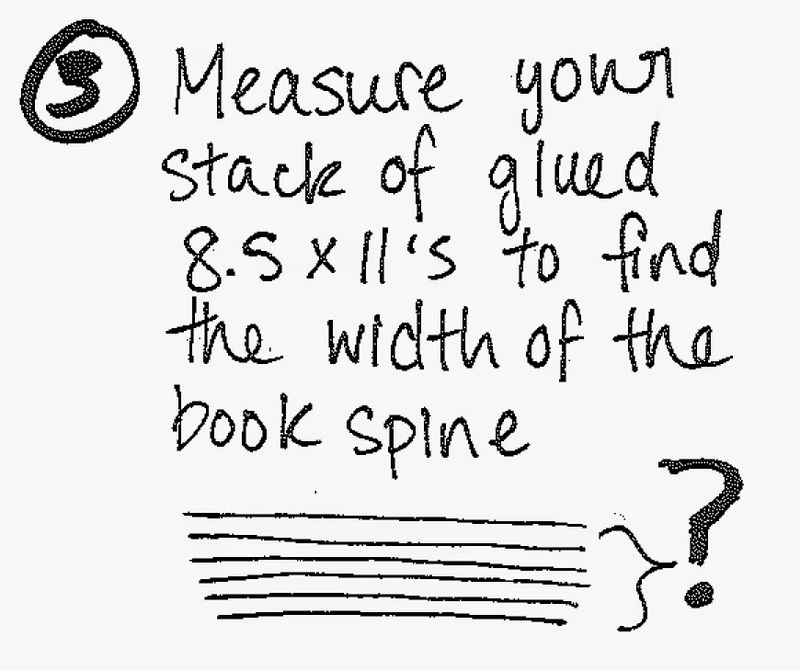 Your cover needs to have the same height (top to bottom of a page) as your page but you do not know how long your cover paper has to be until you measure the thickness of your text block (stack of folded and adhered pages). 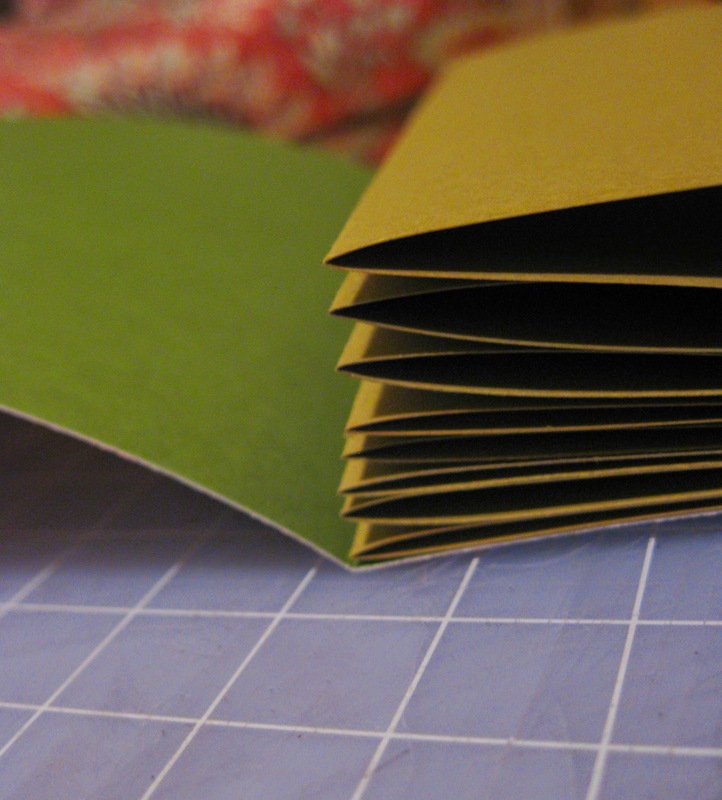 Best to hold off a few more steps before you make that cut. 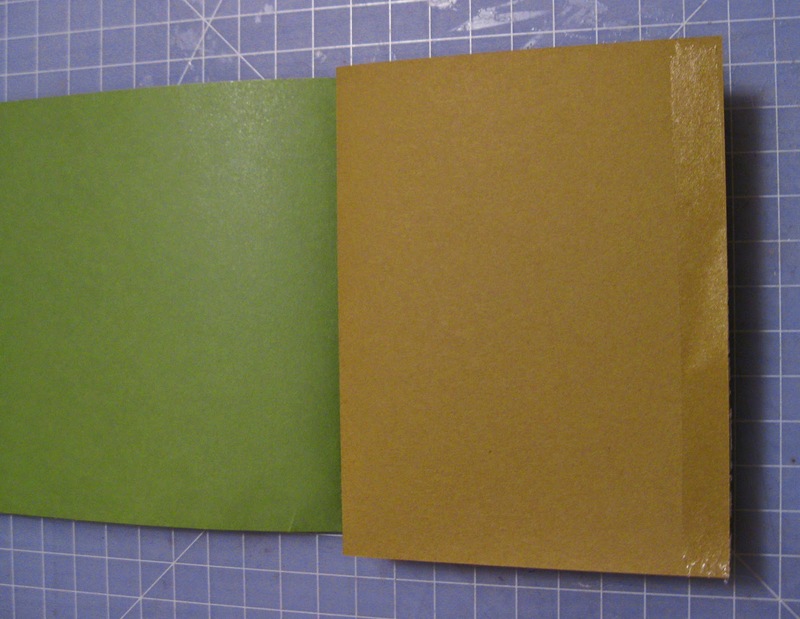 I had pre-cut the cover paper for the school students making these books, so they did not have to worry about that detail. I have learned not to bank on children cutting straight lines. 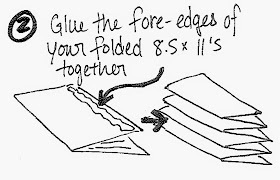 In fact, just limit any critical scissor use. 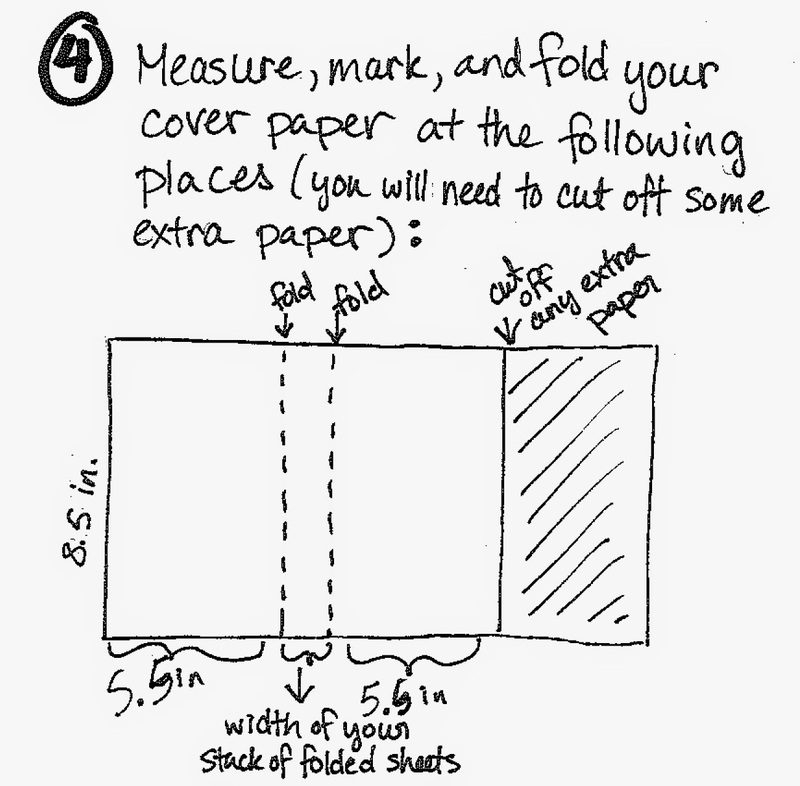 Now you can cut the length of your cover paper. 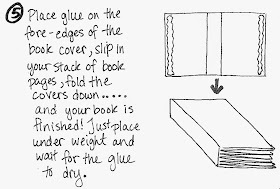 The length should be the width (side to side) of your pages, multiplied by 2 (you have a front and a back cover) add the thickness of the spine, and then add on an inch or two for good measure... in case of accidents. 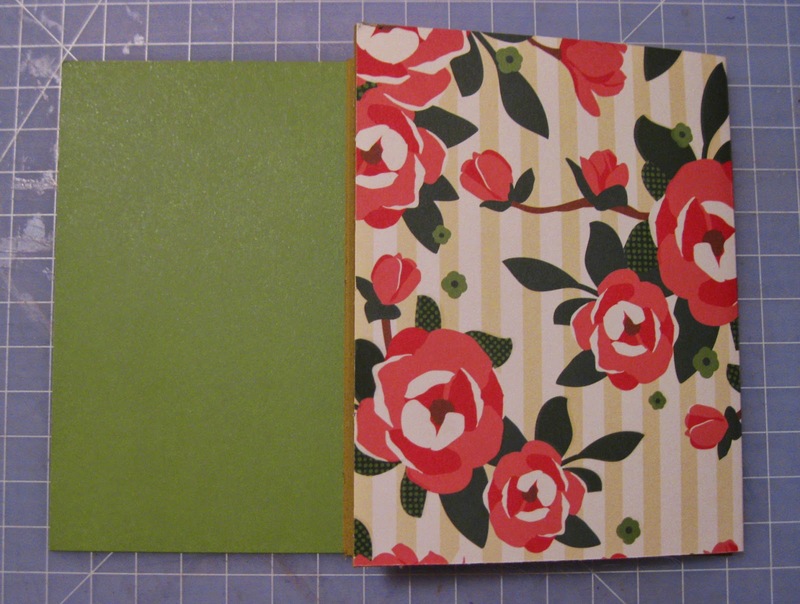 Now, for me, I am just taping my text block to one outer edge of the cover paper and then making my folds. Again, this is a lazy choice. 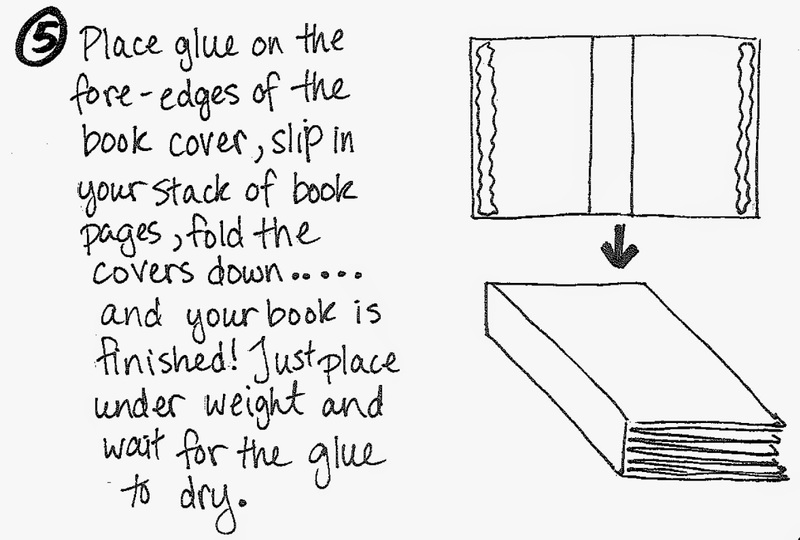 Make the second fold to enclose the spine. Then, I am taping down the other outer edge of the cover paper to the text block before trimming off the extra cover paper. 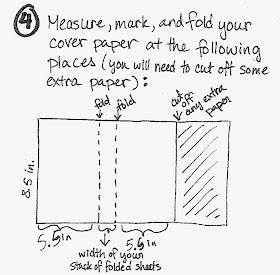 This is easier than the method in the hand-out, but it was not a practical option for the kids, as you really should do the trimming with a straight-edge and that seemed like a "'tis but a flesh wound" moment in the making. Again, there was the other method of adhering the text block to the cover. 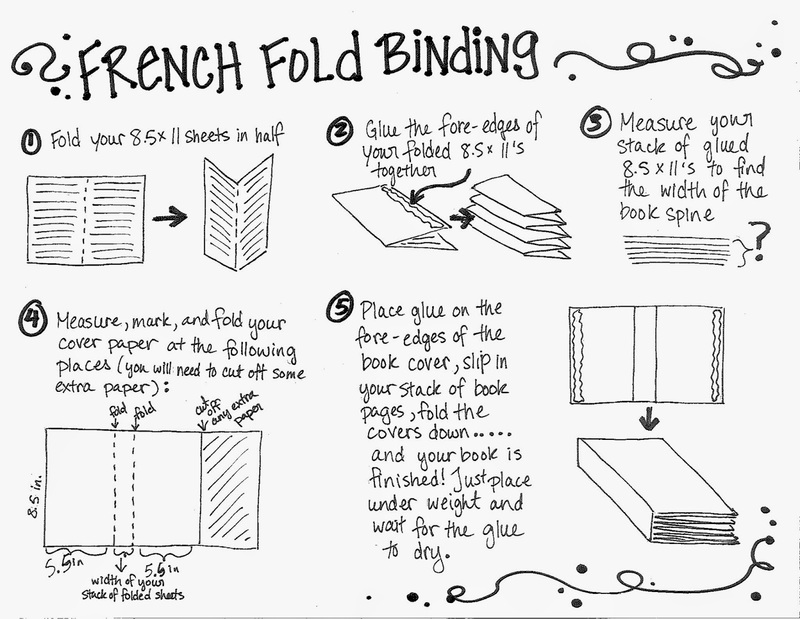 Now, why would you want to use French Fold? More projects with that to follow. I am enjoying your site and writing, too! 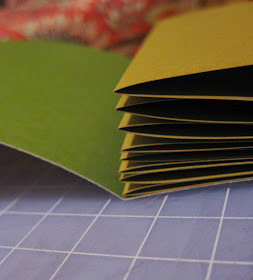 It is always nice to hear from other people who love all things paper and books. 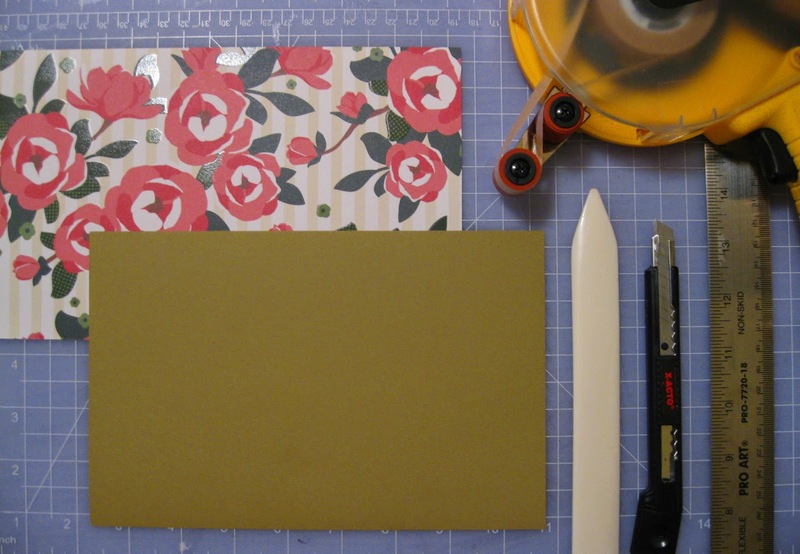 Thank you for the compliments and encouragement!